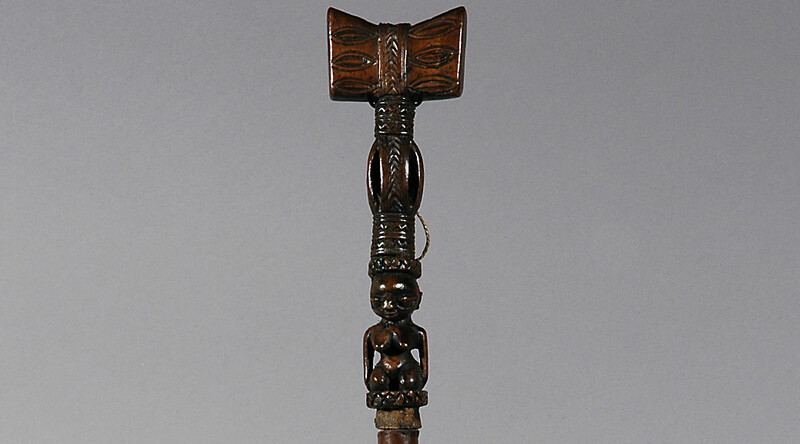 The axe motif on the head of this figure symbolizes thunder and lightening. 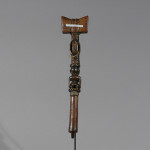 It is made by the Yoruba people in Nigeria. 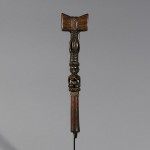 In the Yoruba culture, the thunder God, Shango, has a strong following. 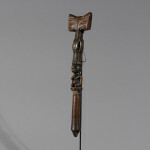 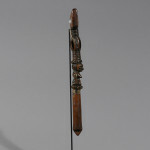 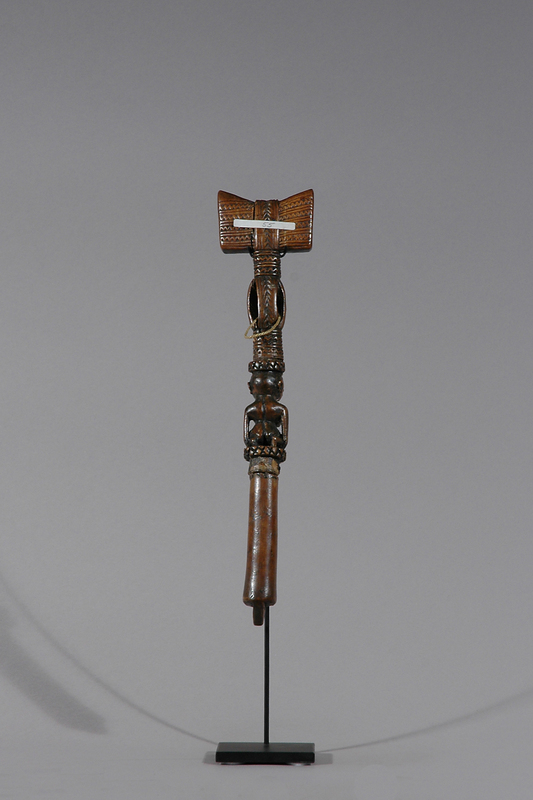 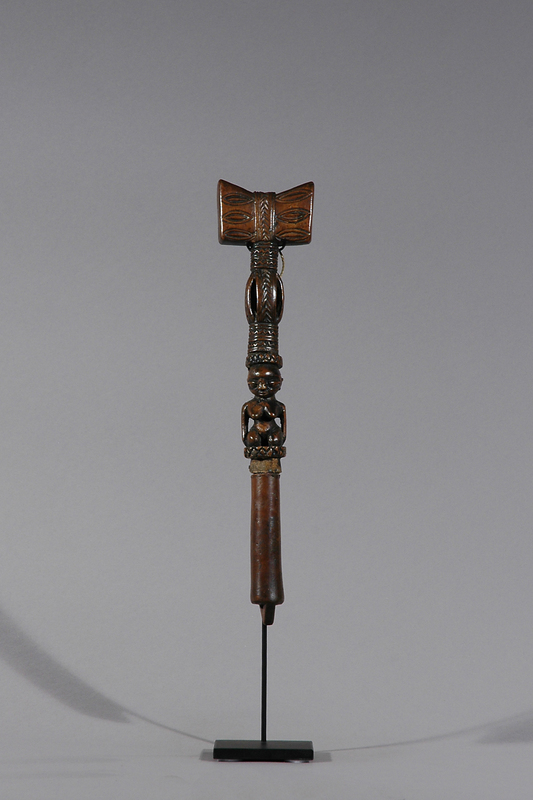 Cult members dance with small wooden staffs like this called Ose Shango. 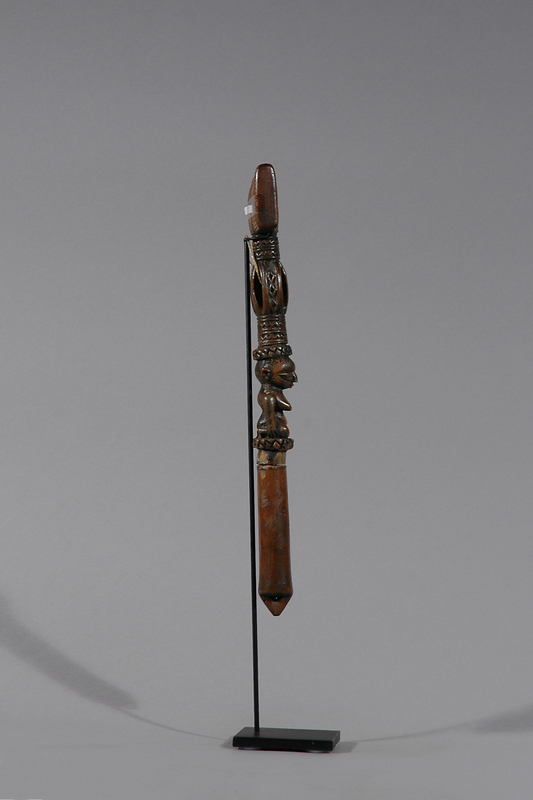 Shango is a legendary king whose reign is said to have come to an end because of misuse of his magical powers, which brought great storms down upon his people. 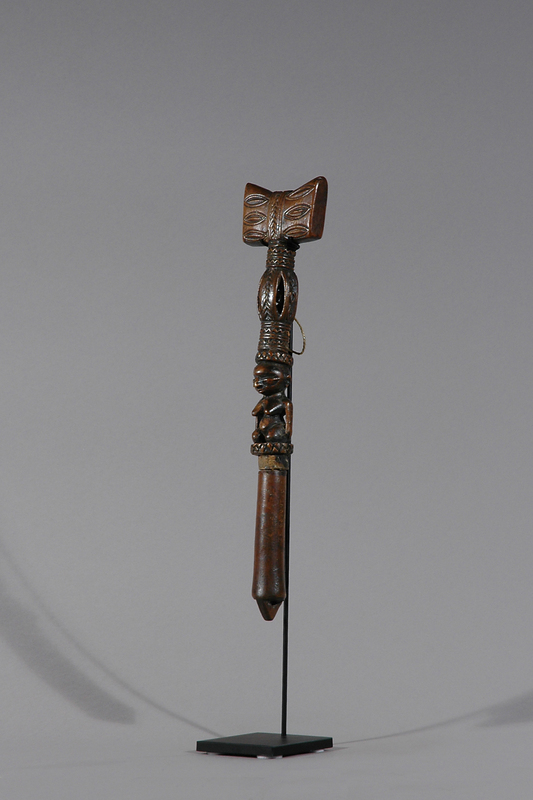 Shango is associated with fertilizing rain, he is said to be truth-loving and should punish liars and thieves.